Google Search is the best, most powerful search engine out there, and there’s no question why. 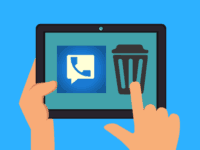 But one of the things Google has always focused on in order to bond with their users and be the best search tool out there is making sure they provide users with powerful, easy-to-access tools, and leave neat Easter Eggs for them to discover. An Easter Egg is a secret or hidden item left by developers for their users to discover. Typically based on a pop-culture reference, or a kind of joke, game, or other form of entertainment, the user must work to discover it, and once they do, they enjoy an experience that differs from the standard. 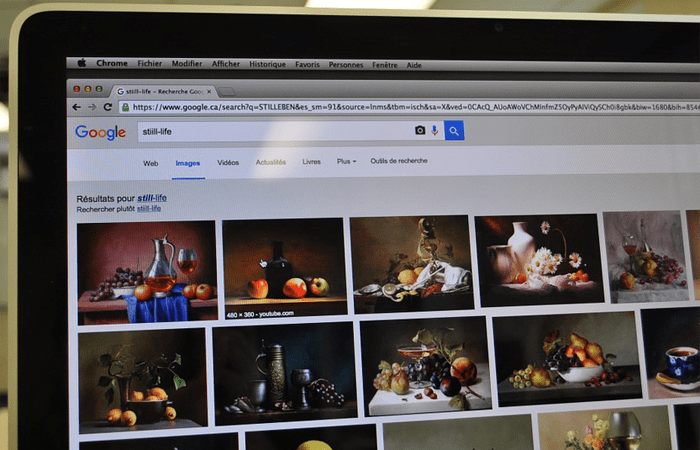 With Google, Easter Eggs are things that a user can type into Google Search, and the results will vary from their typical form in some way. 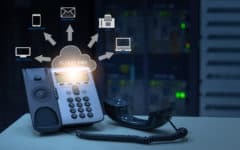 The helpful tips and tricks we’ve included are similar, as Google has built variations into the results to help you get your answers faster, or in a more accessible way. 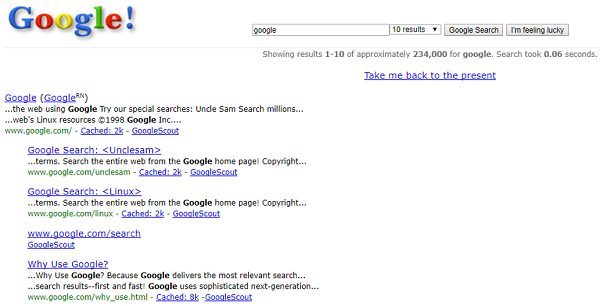 Read on, and you will become a Google Search pro instantly. 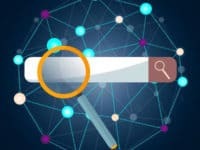 What is an advanced Google Search and how do I do one? 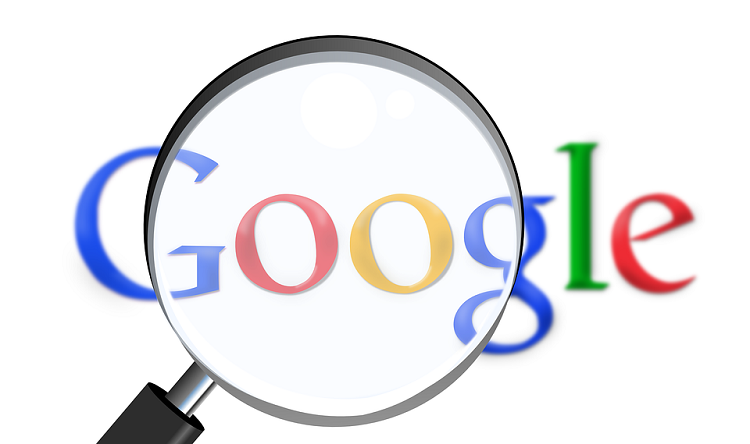 Google Advanced Search allows you to create parameters for your Google searches, letting you add criteria and filter out things you are/are not looking for, so that your search can be more accurate. Simply fill in the Google Advanced Search form with as much information as you like, and then search. In the address bar, enter: www.google.com/advanced_search. Click into any box, and type the information you want included. Click any drop-down menu to filter the information you will receive. Click the blue Advanced Search button at the bottom of the form. 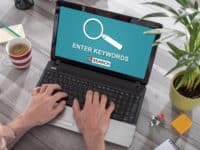 If you want some quick hints at words and symbols you can enter immediately into your search rather than having to visit the advanced search, check out these 5 suggestions below. This one is easy; simply add quotation marks around a piece of text that you want Google to find exactly. With quotation marks, Google will look for text that contains the word(s) exactly, and in that order. What it will return: Results about the movie E.T., as this is a quote from the movie, and not results separately about extraterrestrials, phones, or homes. The word “and” is easy to work into your searches, and helps Google make distinctions about what you’re looking for. By adding “and,” you are telling Google to look for results with the things before and after the word together. What it will return: All results that feature both crime fighters, rather than results of them individually. When searching, if you place an asterisk (*) in between parts of your search, Google will try to fill the asterisk in with a word it thinks is relevant to you. Think of it as a placeholder that you want Google to try to replace, like a fill-in-the-blank. 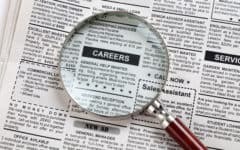 This trick is great for when you know there are terms often related to your search, but you aren’t interested in them. Use the “-“ symbol to remove words from your search. What it will return: Results related to Shakespeare and Kings, but not the play King Lear. If you want to see results that fit within a certain range of numbers, add two periods (..) between the two numbers you’re thinking about. Google will then show you relevant results within that range. What it will return: Laptops for sale, mainly that cost between $400 and $600 or have specs that fall in that value range. 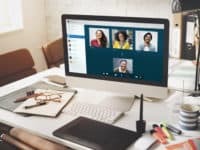 This method is not fool-proof however, (especially when you’re looking for something to purchase) as you will probably still get results for laptops for sale, ecommerce websites that sell websites, etc. 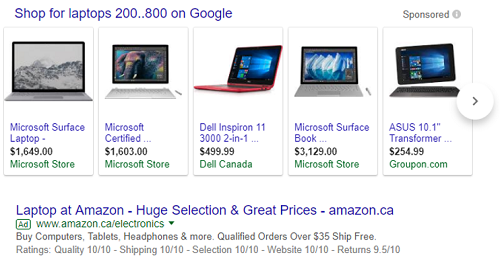 However, your top results will still include laptops on that page that are within the range you specified. 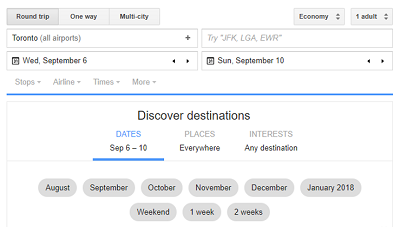 Google take all the work out of planning your next trip with Google Flights. 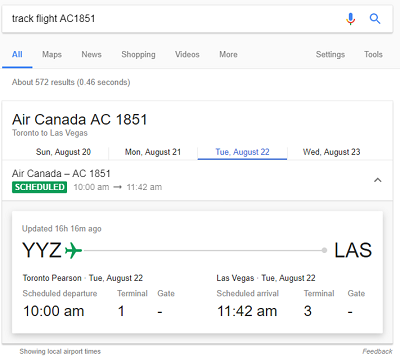 This tool will work if you Google anything regarding flights to/from two cities, with the word “flights” before or after, or can be accessed at Google.com/Flights. You can use Google as a flight tracker, or you can use the flight planner to help you book your next trip. Simply Google “track flight [X]” and fill in the X with your flight number. Google will tell you its current status right away! Fill in the info as it suits you and check out the flights that you may want to book. 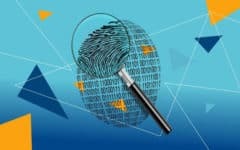 One helpful tip we have for you is to do these searches on a computer other than your regular computer, or do an Incognito Google search by pressing CTRL + Shift + N on your keyboard so that your browsing history won’t be tracked. Once you start searching for flights to a particular place repeatedly, the rates will continue to go up because companies know you’re interested in one specific destination! Google Maps is one of the most useful tools Google has created, and is used by millions of people every day. To easily find directions, all you need to do is search an address, location, or the name of a city, country, or place on this earth. 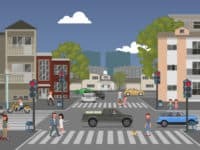 Google’s satellites have mapped out many places in the world, and can even show you street views of where you want to go. 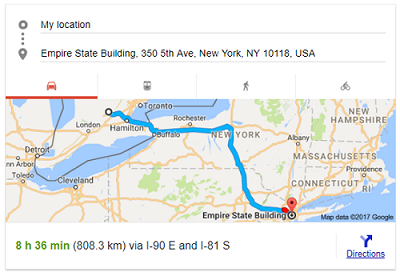 Google’s algorithm for predicting when you’re searching for a location or address is difficult to explain, but in general, it will be pretty good at predicting it. If you’re not sure, you can always add the words “directions” or “location” after your search. Then, simply click in the box you see to view a map, adjust the starting or ending point, or click Directions to views your route. 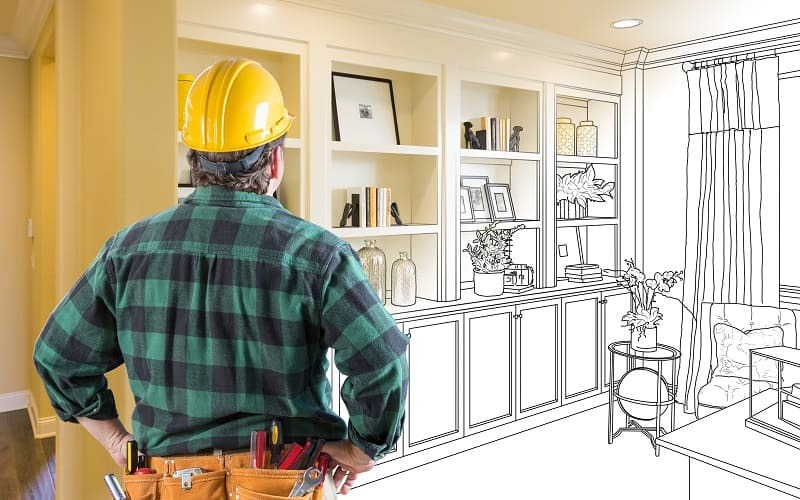 If you want to learn more about his fantastic tool and how to use it, check out our free Google Maps course, with step-by-step tutorials and pictures. This is one of our favorite tools, because it’s so easy to use! Google has a built-in interactive conversion table that can easily calculate metric conversions for you. All you have to do is place the word “in” or “to” in between two metrics you need converted, and Google will calculate it for you right away. For example, you could search “186 inches in feet” and get the answer right away! 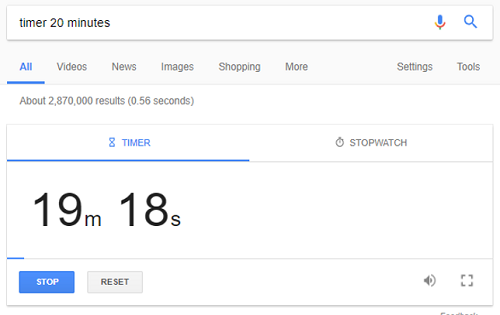 If you need a quick timer or a stopwatch, simply search “timer” or “stopwatch” in Google. With the timer, you will need to click on the number of minutes and seconds, and fill in a value on your keyboard. When you’re ready, click Start. For the stopwatch, simply click the blue Start button when you’re ready to begin timing. You can easily switch back and forth between them by clicking Timer or Stopwatch at the top of the box. You can also pre-fill in a value for your timer by searching “Timer [X] minutes,” and the timer will be pre-loaded with this value. You don’t even need to click, as the timer will begin counting down as soon as the page loads. If at any time you want to reset the timer or stopwatch, simply click Reset. This is a neat little tool that can help you calculate the tip on a bill, but its especially useful because you can split the bill/tip in as many ways as you need to. 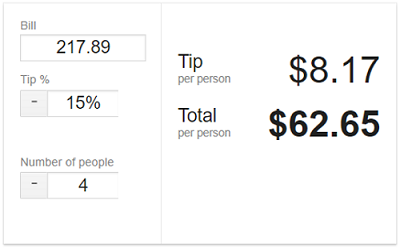 Google “tip calculator,” and then enter the total of the Bill, the percentage of the Tip you want to leave, and then the Number of People splitting the bill. It will immediately show you the amount of tip each person should provide, as well as the total per person, if you were splitting the bill evenly. If you Google the name of a TV show followed by the word “episodes,” Google will automatically load the title of recent episodes, their placement within the show’s series, and their air dates right away for you. If you interact with them, you can get more information such as synopses and information about the show. This is a great tool if you’re behind on your favorite shows and need to know what to look for in order to catch up! 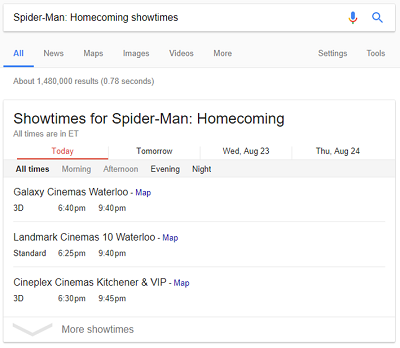 If you’re a cinema buff and you want to know what time the movie you want to see is playing in a theatre near you, let Google do all the work! Google “[X] show times” and fill in the X with the movie you want to watch. Google will show you the theatres around you that are showing the film, and you can see exactly when it’s playing. The box is also interactive, so you can choose from today, tomorrow, or the following two days. Remember, your location services must be enabled for this trick to work properly. Need a die to play a game but can’t find any? Luckily, Google is here to help. Search “roll a die” and Google will roll you a single, six-sided die. It will even show you an image of it! If you need to roll again, click Roll It at the bottom of the box. This tool will automatically generate a number for you between 1 and 10, if you type “random number generator” into Google Search. If you need larger parameters, click where it says Min to enter a value for the minimum number, and click where it says Max to enter a value for the maximum number. Then click Generate to get a new number. You can set values from -9, 999, 999, 999 to 9, 999, 999, 999. Outside of those parameters, you will get a confused emoji from Google, letting you know you’re made their job too difficult. If you want to have a spinning wheel with number combinations up to 20, Google can do that for you too. Search for “spinner” and you’ll have an interactive wheel to play with. 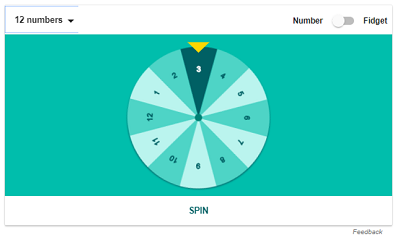 Click Spin at the bottom to make it go, and click Wheel Size to set the number of increments on the wheel. At the top, you can also click the toggle to switch from a numbered wheel spinner, and a Fidget spinner, which is an interactive spinning wheel. Here, click Spin as often as you want to see it spin on screen. Another easy search: “flip a coin” will flip an illustrated coin, and land on either heads or tails. Click Flip It to go again. Feeling lonely? Google has its own Solitaire card game that you can play. If you search “solitaire,” Google will prompt you with its own version of the game. 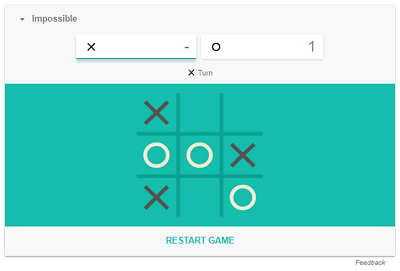 Click in the answer box to start a game, an then select Easy or Hard for your difficulty level. 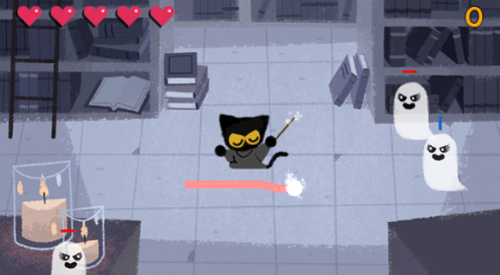 This is one of Google’s more fun and creative games. A “zerg” in gaming culture is the term used to refer to games who rely on large number of allies to defeat their opponents, rather than actual skill or technique. 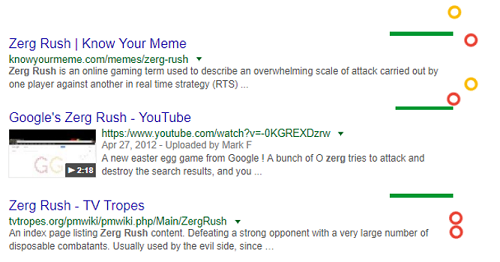 In an homage to the zergs, Google created Zerg Rush – a game where zergs will try to chip away at your search results if you don’t defeat them. From outside of the screen, red and yellow zerg circles will come at your search results and attack them. Using your mouse, click on the zergs multiple times to weaken and defeat them. When you’re finished (or if you don’t feel like playing), click Clear. If you want to share how you did with your friends, click Share Score. This game is one of our personal favorites, and is surprisingly addicting. Atari Breakout was a video game from the 1970s that challenged players to move a pad along the bottom of the screen where a ball would bounce off of to break coloured planks above it. Each time the ball hit any surface (including the edges of the screen), it would immediately bounce back in the exact opposite direction. If you change your search to an Image search, and type “Atari Breakout,” the images will turn into planks that need to be broken, and the Atari Breakout game will begin. Click Return to Image Search if you don’t want to play anymore. 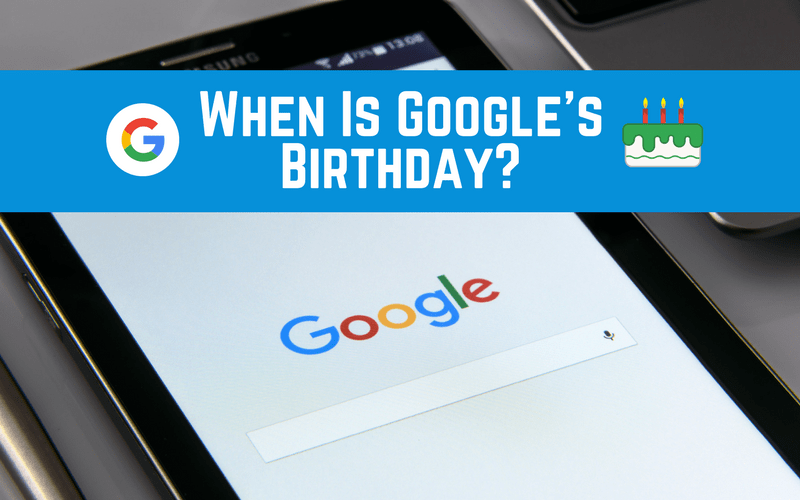 If you’ve been using Google for any length of time, you’ve probably noticed that they like to dress up the standard Google logo for occasions such as historical figures’ birthdays, holidays like Halloween or Christmas, important historic days, days for celebration worldwide, and more. These “doodles” (as they call them) change the typical logo into something entertaining, often an interactive illustration, or even a game. Because Google knows their fans love these doodles, you can now access all of them – and of course, because it’s Google – you can access them all for free. If you visit www.google.com/doodles, you can see the archive of them, and interact with them just as you did the day they were published on the Google website. 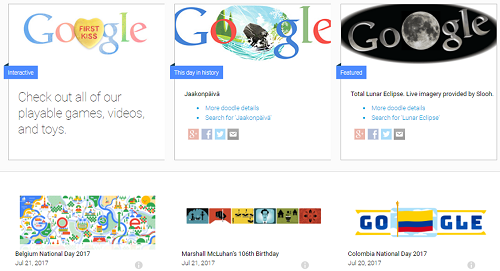 The most recent one will appear at the top, as well as a button for the Interactive games, This Day in History, and what is currently Featured by Google. 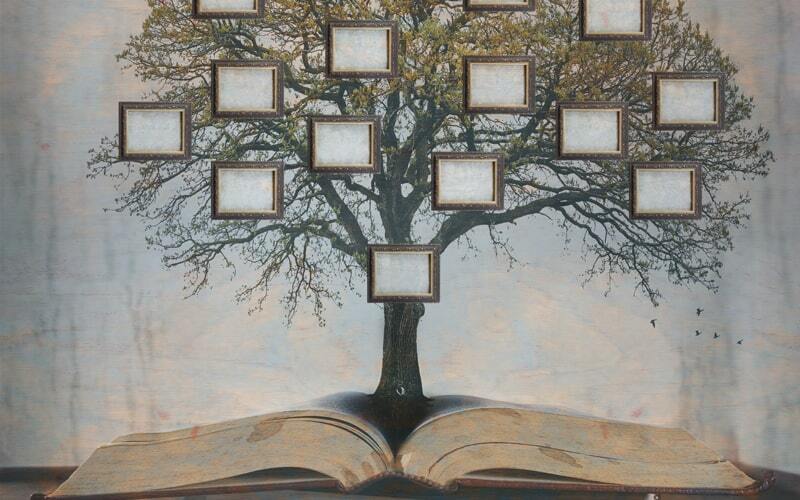 Simply scroll down to see the archive in reverse order, as this page is an infinite scroll. If you want to search for something (for example, our favorite Google Doodle ‘Halloween 2016’) simply click in the Search Doodles box at the top of the screen, and type keywords that match what you are looking for. Then click on any game/image to interact with it. Another note of cheekiness, if you search for “recursion,” which means “the repeated application of a recurring procedure,” Google will ask you “Did you mean: recursion." If you don’t get the joke, try looking up the definition of recursion again! You can set your Google searches and systems to appear in Klingon if you’re a Star Trek enthusiast! Simply Google “Klingon Google” and choose the first result, or click here to transform your Google. Klingon is also a language you can set your Google translate to uncover for you! If you search “anagram” or “define anagram” on Google, it will play a little joke on you. Normally, if you mistype your search, Google will present you an alternative search at the top, saying “Did you mean: [X]” which often, you did. If you search “anagram,” it will ask you "Did you mean: nag a ram"
If you search “define anagram,” it will ask you "Did you mean: nerd fame again"
Because an anagram is the rearrangement of letters, Google does this with your search to show you the meaning right away. If you search for the word “askew,” for example, if you were trying to look up a definition for it, Google will show you exactly what ‘askew’ means by skewing your search results on a slight downward angle to the right. You can’t say Google doesn’t know how to give you the information you need quickly! If you want to see your search results spin and flip over, search “do a barrel roll.” Try it right now! Google likes to play with you on this one as well. If you search “the loneliest number,” Google will show you the number 1 on its built-in calculator, as if it is calculating an equation for you, because in pop culture, 1 is considered to be the loneliest number. Though this is just a saying meaning “every once in a long while,” Google gets cheeky by showing you an equation for how often a blue moon actually occurs. How many horns does a unicorn have? What is the answer to life, the universe, and everything? 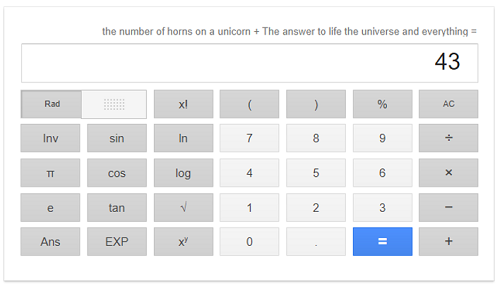 You may know the answers to these questions are 1 and 42, but if you search “the answer to life the universe and everything,” or “the number of horns on a unicorn plus/+ the answer to life the universe and everything,” Google will show you the answer on a calculator at the top of the page, rather than just showing you related search results. If you want to play with a spinning Dreidel, search “spin the Dreidel” and Google will give you an interactive one! It will spin once randomly, and stop on one of the sides, but if you want to give it another go, click Spin Again. What sound does an [animal] make? This is a fun little Easter Egg that’s suitable for kids as well. Simply search “What sound does an [X] make?” and fill the X with the name of an animal. 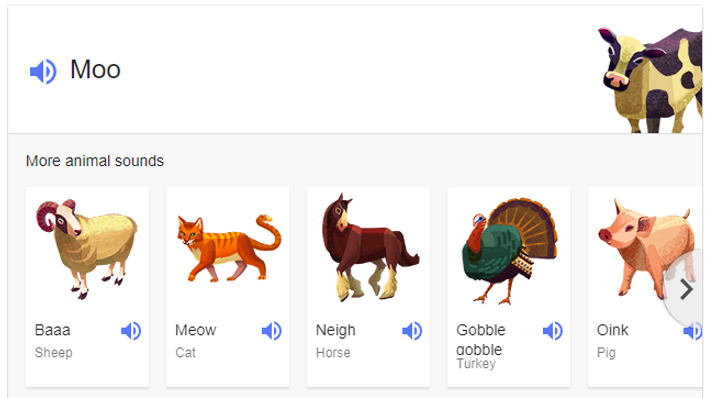 In many cases, Google will present you with an animated image of the animal you’re curious about, as well as an interactive sound box that makes the noise of the animal you searched for. For example, you can search “What sound does a cow make?” and Google will MOO! What is Wolverine’s real name? 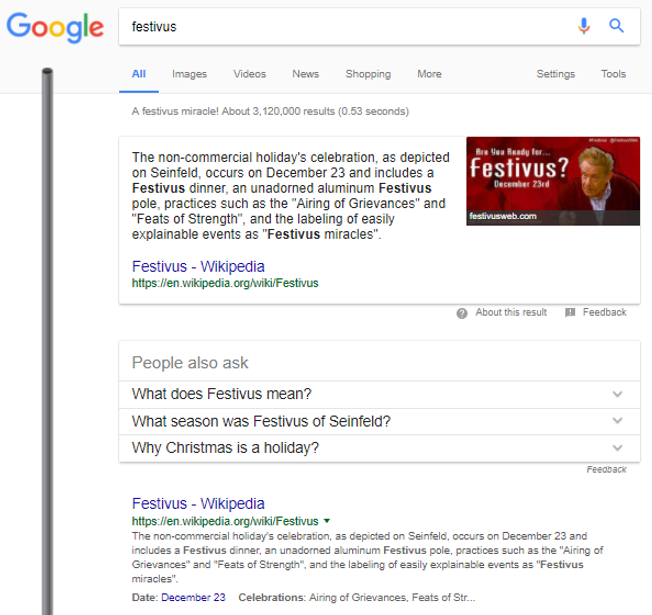 If you’re a Seinfeld fan, you may know what “Festivus” is, as well as the significance of the Festivus pole. If not, search it on Google and learn about it – but your search results will be dominated by the Festivus pole all along the left of the screen. 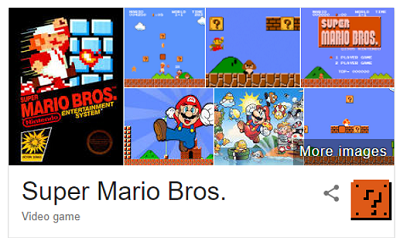 If you search for “Super Mario Bros.” (or a variation of that), and you look closely, you’ll see that the image of the block Mario hits with his head in the game will appear in the answer box, and it will flash as if you are playing the game! If you search “Google in 1998,” your results will appear as they would have with the format of the Google Search page when it began back in 1998. This one is a real trip down memory lane for those of us who have been using Google since it began. 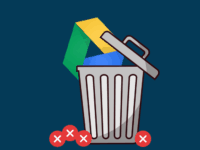 Google works far too hard to make sure it is always working for you, and they are fairly confident that they will always be up and running – ready to search for whatever you need. If you ask Google “Is Google down?” you will see a resounding and rather large “No” in the answer box. 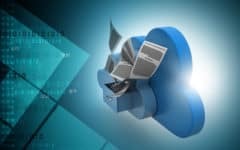 We certainly hope this long article helped teach you everything you need to know about Google and all its searching tricks that can make your life easier. Be sure to check out our Google Search course if you want to learn more, and our shorter article on how to do Google advanced searches to help you find the things you’re looking for better and faster!